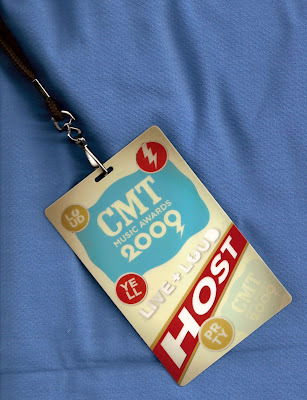 Many dealers sell and/or many schools choose silkscreen printed lanyards solely based on lower cost when compared to dye sublimation printed lanyards. Yes, the cost for silkscreen printed lanyards is lower and our silkscreen lanyards look great, but dye sub printed lanyards set the standard for durability since the print in integral to the fabric and will not wear off. In addition, dye sublimation printing allows for even greater detail on our HiRes fabric. Just ask Clayton County School District. Do you want lowest price or lowest total cost for a product that needs to last an entire school year with the best product testers on the planet? 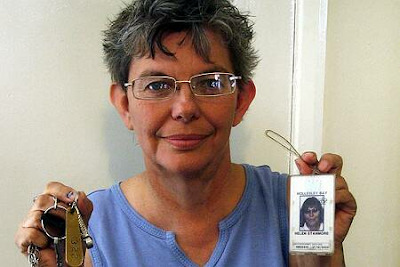 Despite not working at the prison since May last year, Ms Stanmore still has her ID badge and keys to confidential filing cabinets containing prisoner information. We say: Allowing former employees to leave with their corporate photo ID and keys is a breach of physical security. Trained security staff should be mindful that access control is only as good as enforcement and implementation of a solid plan. Current photo ID is a requirement before collecting a lottery prize, said OLG spokesman Don Fister. If that ID does not match up, then the OPP officer on duty is notified. We say: This is a reason that even we did not think of to keep your personal photo ID current. Can we make a custom size badge holder? With 4-color printing on it? Sure, no problem. We love a challenge and we enjoy making your concepts work as you imagined. What are your special badging or credentialing ideas? As always, you are encouraged to call or e-mail for a no charge expert consultation. Climbing into his Volvo, outfitted with a Matrics antenna and a Motorola reader he'd bought on eBay for $190, Chris Paget cruised the streets of San Francisco with one objective: To read the identity cards of strangers, wirelessly, without ever leaving his car. 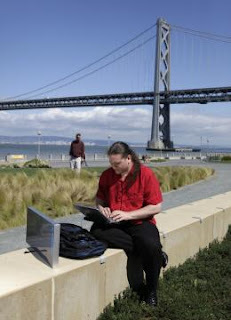 Zipping past Fisherman's Wharf, his scanner detected, then downloaded to his laptop, the unique serial numbers of two pedestrians' electronic U.S. passport cards embedded with radio frequency identification, or RFID, tags. 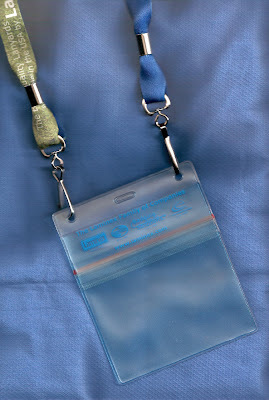 We say: Our FIPS-201 approved SkimSafe badge holders prevent unauthorized badge reading, or skimming. It's not hype. Who has your smart card been talking to? Want to order some for your company? Contact CredentialExpress at (800) 228-6522 Ext 121. 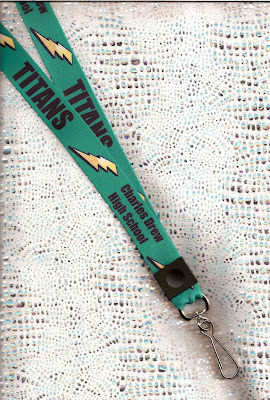 Retail price for an order of 500 is approximately $2.16 each (P) for a non breakaway lanyard with the glitter treatment. You'll stand out from the crowd if you wear one of these, unless of course you were wearing it at SHRM 2009. Bling Bling indeed! We have had a nice run of orders for this new product. It is a nice solution for conventions and conferences. Nice and full function at a nice price. 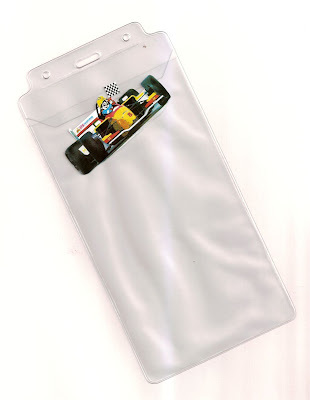 Contact us for samples. Custom event credentials? Fast? Yes! Just as our distributor in Nashville.